The festival of lights has come as a bright spark for fast moving consumer goods companies (FMCG), dependent on the period for a significant proportion of their sales. Chocolate makers such as Cadbury and Ferrero Rocher, home and surface cleaning companies, beauty brands, food & beverage majors say that pre-Diwali and Diwali sales growth so far have been in double-digits as consumers shed inhibitions in a bid to enjoy the festival, considered an important one in the Hindu calendar. A spokesperson for Ferrero Rocher, India says that the company has had its best year so far, with sales growth in the run-up to Diwali in the region of 25-30 per cent over last year. The spokesperson also says that sales during the five-day Diwali period, which began from Dhanteras on Friday (November 1), is expected to be good, as last-minute shoppers avail of discounts and offers on special gift packs. “We have three pack sizes, costing between Rs 250 and Rs 700. Typically, in modern trade, we tie-up with retailers, offering BOGOs (buy one get one free) for fixed purchases made and so on. This is like a top-up that helps in driving sales further,” the spokesperson says. 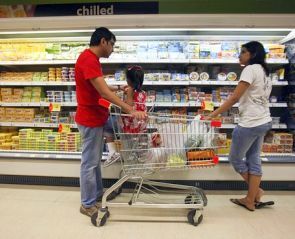 According to retailers, Cadbury, whose ‘Celebrations’ brand is the leader in the packaged food gifting space in India, has also grown in double digits as imported chocolates such as Lindt, Godiva and Guylian stay off the shelves, owing to a stand-off with the Food Safety and Standards Authority of India over labelling issues. range this year, retailers said. Devendra Chawla, president, food & FMCG Category, Future Group, says that the Indian sweet gifting category has also evolved this year, with companies such as Haldiram's and Bikano innovating with new variants and flavours. For instance, Haldiram's came out, he said, with 10 flavours of sonpapdi, a traditional Indian sweet. “Even dry fruits have done well. I would say this entire space of dry fruits, mithai, chocolates would have easily seen a sales growth of 30-40 per cent this year over the last year in the last three to four weeks at our outlets,” he says. In the beauty space, brands such as L'Oreal, Lakme, Revlon and Maybelline have all seen brisk business in the run-up to the festive season as women aspire to look their best. So, too, for the beauty services business. Arvind R P, head of marketing, Kaya, promoted by consumer goods major Marico, says the demand for its pigmentation and skin-lighting services have shot up dramatically, with a 30 per growth in new customers for these services in the last few months, coinciding with the festive season. Pushkaraj Shenai, chief executive officer, Lakme Lever, also says that his Lakme salons have seen double-digit same-store sales growth. He declines to specify how much. Sunil Kataria, chief operating officer, Godrej Consumer, says that the launch of the anti-roach gel under Hit recently has helped the firm in adding incremental sales during the Diwali season. Kataria says that he expects a sales growth of 10-15 per cent in his firm's anti-roach portfolio including both gel and aerosal variants during the festive period. “People clean their homes in the run-up to Diwali. There is a natural spike as a result of this. But this year, with the addition of the gel to the roach portfolio, sales would be better,” he adds.